Anacamptis laxiflora is a slender and tall plant, which can grow to a height of 60 cm. The 3 to 8 unspotted foliage leaves are narrowly lanceolate, keeled and directed upwards. The cylindrical inflorescence numbers up to 30 medium-sized flowers which are arranged rather loosely, a characteristic which gave the plant its name. Only the two petals form a little hood, above follow the middle sepal and the almost erect two lateral sepals. The labellum is indistinctly three-lobed with the lateral lobes longer than the middle lobe and folded backwards. The bracts are long and acuminate, the cylindrical spur is directed upwards. The french botanist Jean-Baptiste de Lamarck described the plant as Orchis laxiflora in his Flore françoise (1779). 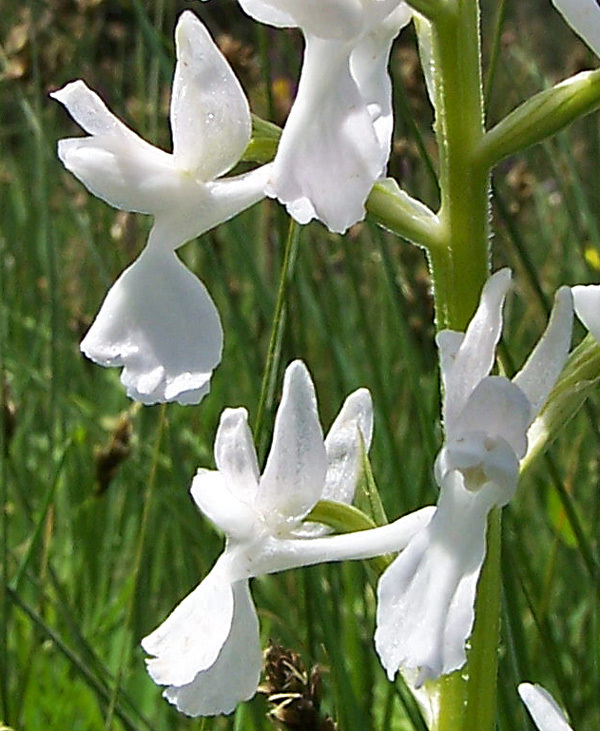 Later it was named Orchis alata (1819), Orchis ambigua (1859) or Orchis biloba. 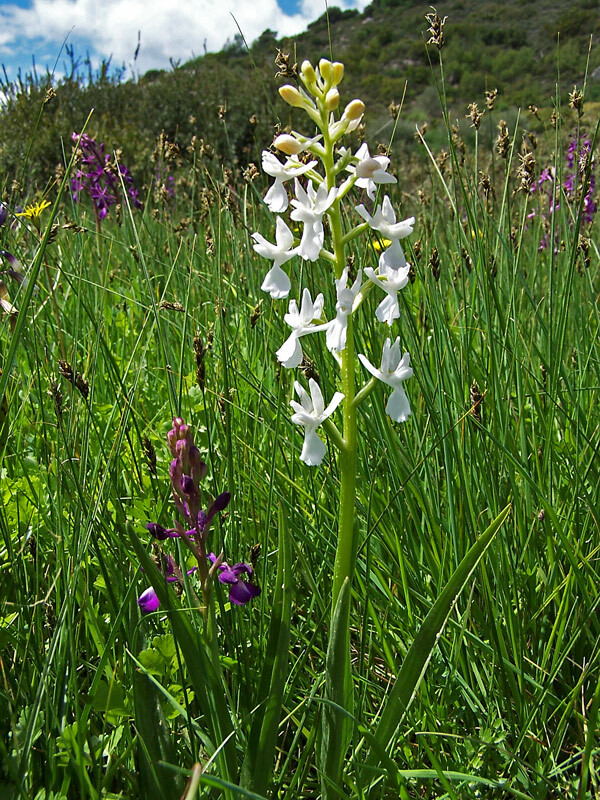 But Orchis laxiflora was used by most people until Richard Bateman, Alec Pridgeon and Mark Chase put the plant to the genus Anacamptis in 1997. The flowers of Anacamptis laxiflora are normally violet with a white spot at the base of the labellum. Paul Delforge mentions that the species has only a rather limited variabilty, but H. Kretzschmar, W.Eccarius and H. Dietrich (Die Orchideengattungen Anacamptis, Orchis, Neotinea. 2007) are stressing that there are rarely bright pink flowers. A photo there (p. 97) shows also an albiflora form from Rhodos. Anacamptis laxiflora needs wet lands, marshes or the banks of rivers. Bloom is from April to June. The species can be found in Portugal and Spain, Western France, Italy, on the Balkan coasts and in Greece and Turkey.